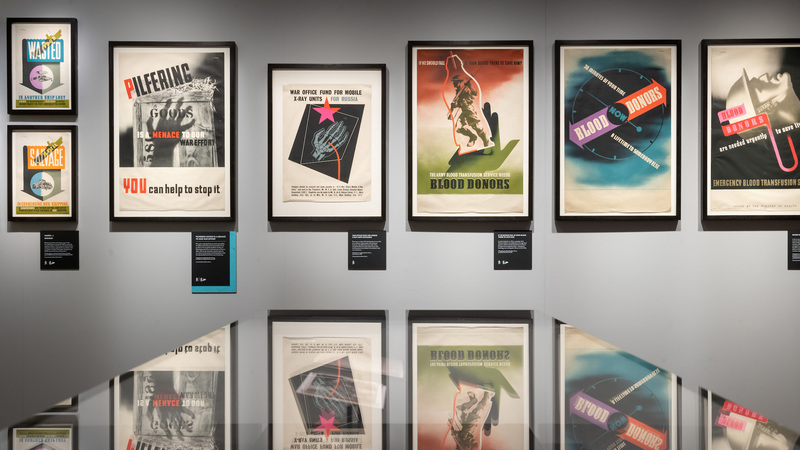 The National Army Museum’s new exhibition explores the work of the Second World War graphic designer and master of visual seduction, who created propaganda posters to boost recruitment, educate soldiers, and encourage civilians to contribute to Britain’s war efforts. When war broke out in in Britain in 1939, fighting for your country was not really a personal choice. Conscription to the army was made compulsory for all men aged between 18 and 41 who were in good health, and anyone who refused on religious, moral or other grounds – conscientious objectors – had to stand in front of a court to make their case. Refusing to fight was not seen as strong-spirited, anti-establishment or radical – it was portrayed in the media and by Government as cowardly, selfish and a betrayal, and many men went to jail for it. Despite the stigma, which was a hangover from the First World War, attitudes were softening and refusing to fight was becoming more common. Over 60,000 men applied to be conscientious objectors during the Second World War, which was four times the amount of those in 1916. So what could be done to encourage more men – and later women – to want to join the army? 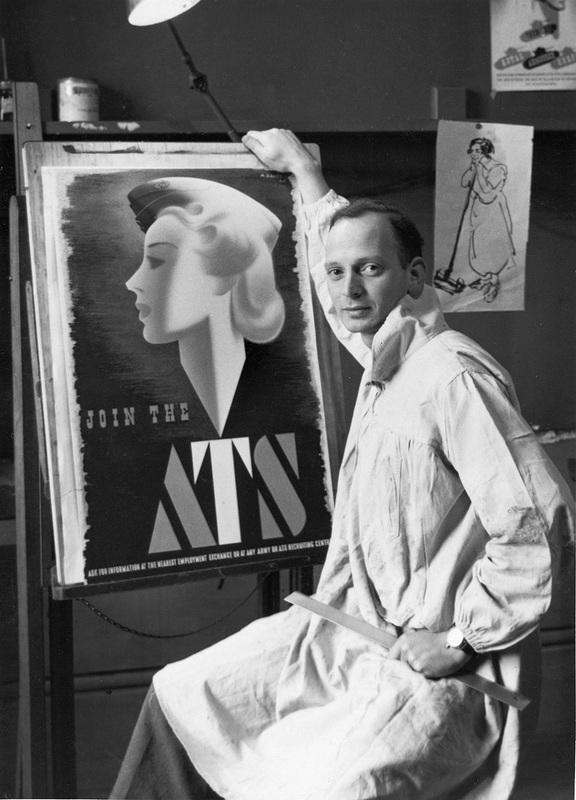 Prolific graphic designer Abram Games was born to Russian-Jewish immigrant parents in Whitechapel, East London, in 1914. His parents had emigrated because of anti-Semitism, and Games went on to not only form a deep sense of pride and patriotism for the country that had accepted his family, but also a sense of collective responsibility in contributing to the fight against injustice. 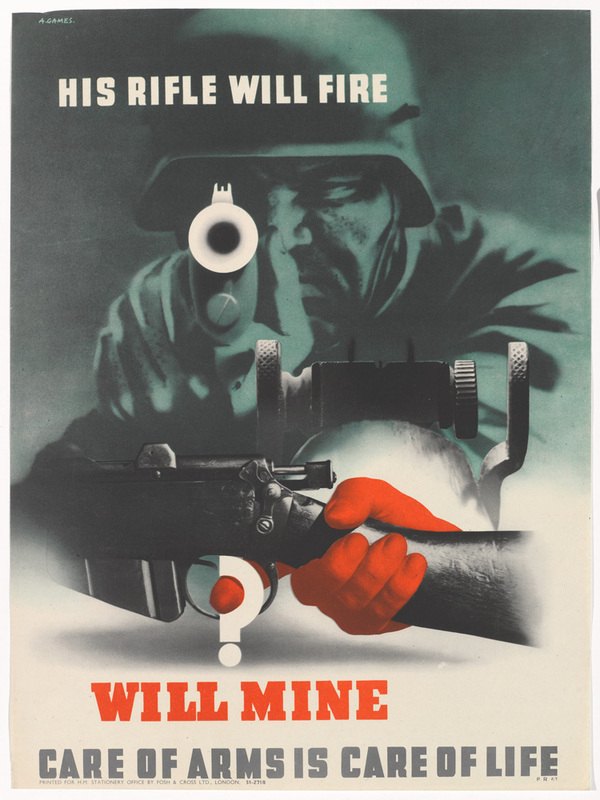 He was involved in Britain’s fight in two ways; first, he was enlisted into the British army during the Second World War as a soldier, and later, took on the job of official war artist, creating enticing and persuasive propaganda posters that would encourage civilians and soldiers to increase their war efforts. 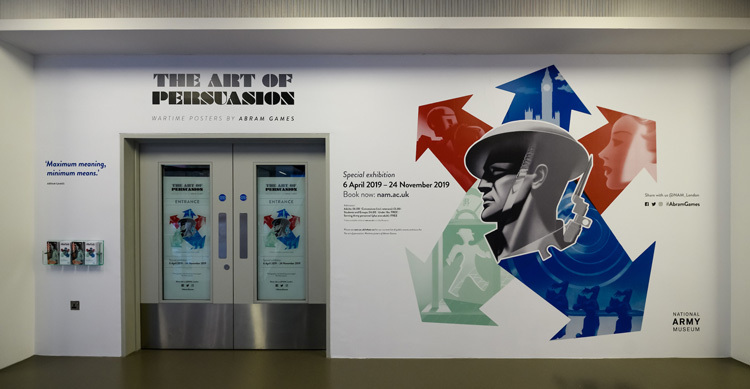 A new exhibition – The Art of Persuasion – at the National Army Museum, which has been curated and designed in-house, showcases over 100 posters that Games created during his employment as the Government’s poster artist, from 1941 until 1945. 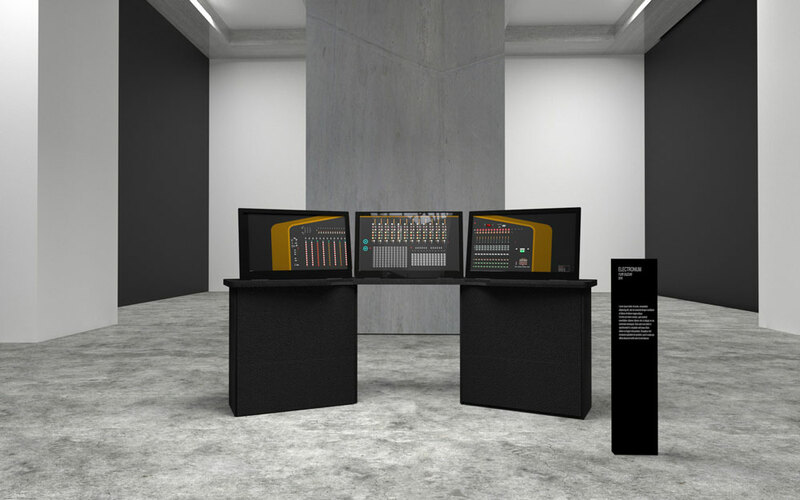 Roughly chronological, the exhibition starts by exploring Games’ childhood and upbringing. Born to a photographer father, he had techniques such as airbrushing – a traditional photography retouching tool – instilled in him from a young age. Real-life teachers’ reports reveal that Games was, in fact, ranked “poor in drawing” at school – a sign that he would continue to reject traditional education, and pursue a road of self-teaching and discovery instead. “My dad was always very determined,” says Naomi Games, daughter of Abram Games, who has contributed many pieces to the show on behalf of her father’s estate. “He taught himself to draw, he was a complete autodidact. He also understood geometry, as his work went on to show. Games studied at St Martin’s School of Art in London for two terms, before dropping out and only doing evening life-drawing classes, while working as an assistant at his father’s photography studio. At age 25, Games was called up for Army service under conscription. 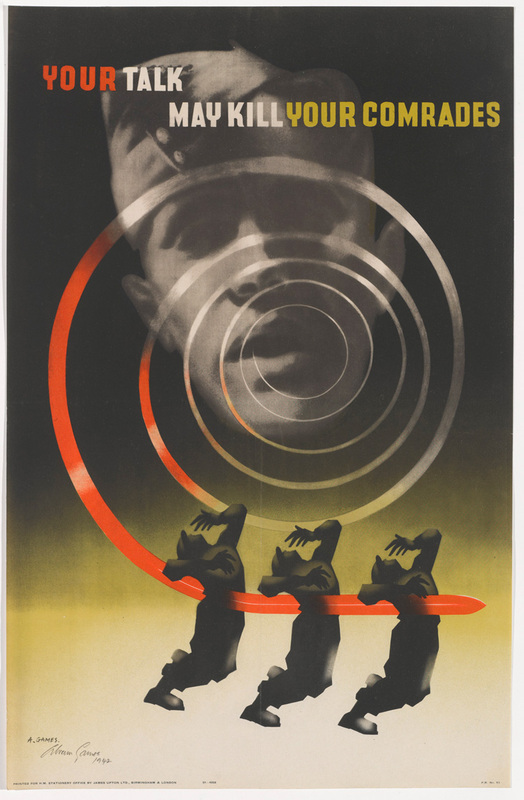 While serving, Games continued to draw, incorporating the techniques he had learnt from his father to design posters. A year later, in 1941, the Government set up the Army Bureau of Current Affairs (ABCA), which looked to raise the morale of soldiers and educate them about social issues. 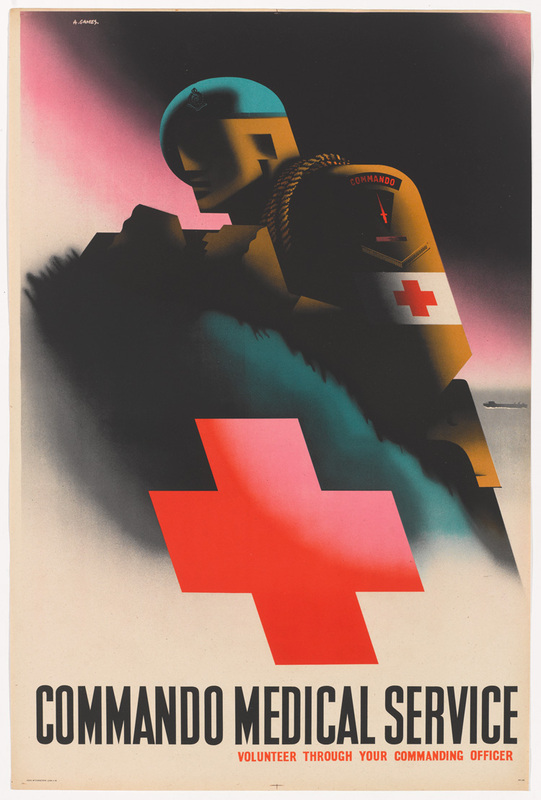 Games would go on to create posters for the department to lift soldiers’ spirits, give them health and safety advice, and inspire them to take on tougher roles in the armed forces. That same year, conscription began for women – some of Games’ best-known posters portray aspirational images of young ladies working for the women’s army. 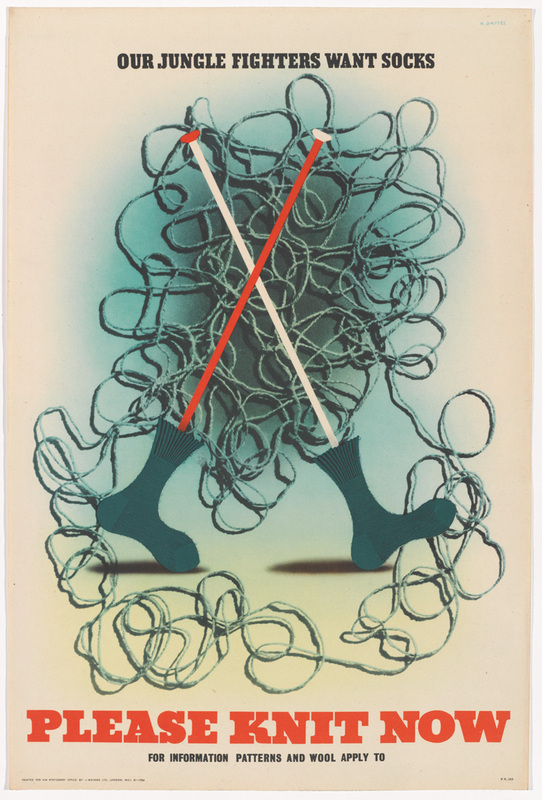 Games’ design talents began to be noticed, and in 1942, he was given the title of official war poster artist. From this point, he was full-time propaganda artist, and no longer serving as a soldier. This consciously affected the designer, who was a staunch socialist, and believed he should be contributing towards the fight for the greater good. He requested to re-join as a soldier twice, but was rejected by the Government’s propaganda department, on the basis that he was “the only man who could do the job” of creating persuasive artwork, while soldiers “could always be replaced”. 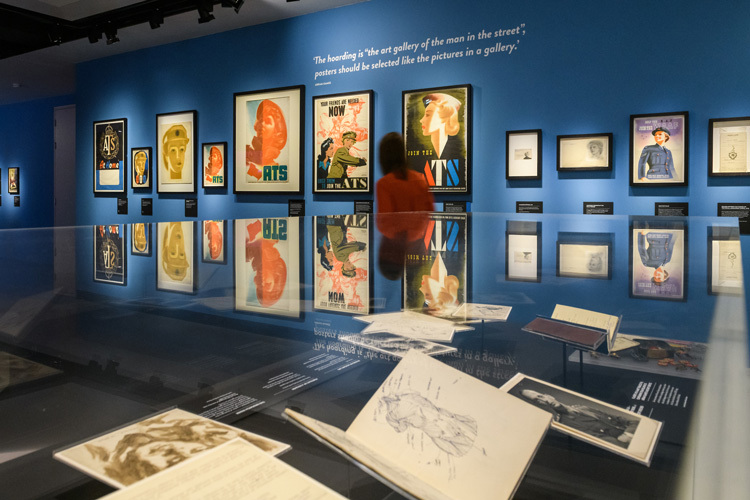 While roughly chronological, the exhibition is split into seven themes: his early life; recruitment posters; educational posters for the ABCA, which featured in army barracks and messes; morale-boosting posters for the ABCA, which presented an idealistic vision of the future of Britain; posters promoting health and hygiene for soldiers; civilians’ posters, encouraging them to contribute through donations and other means; and finally, commercial posters completed by Games after 1946, when the war had ended and he worked freelance, creating graphics for clients such as the Royal Festival Hall, the Financial Times and London Transport. 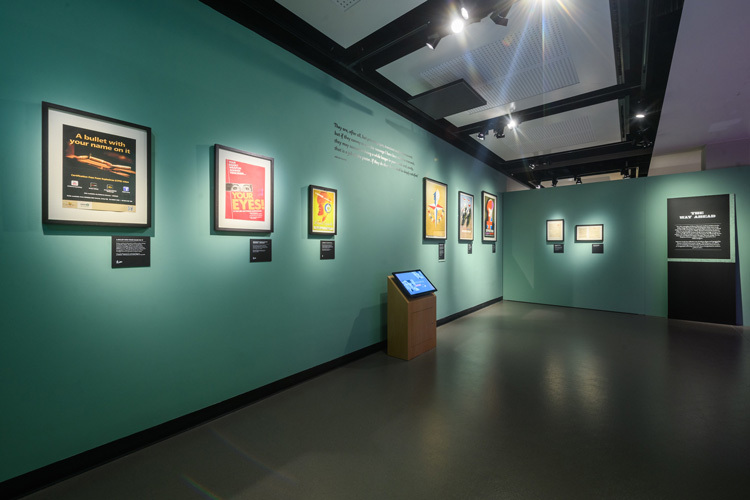 Games’ distinctive style was categorised by a few reoccurring traits, says Emma Mawdsley, curator at the National Army Museum – his use of humour, clever graphics and optical illusions that played with shape and form, patriotism, and his strong left-leaning political views. 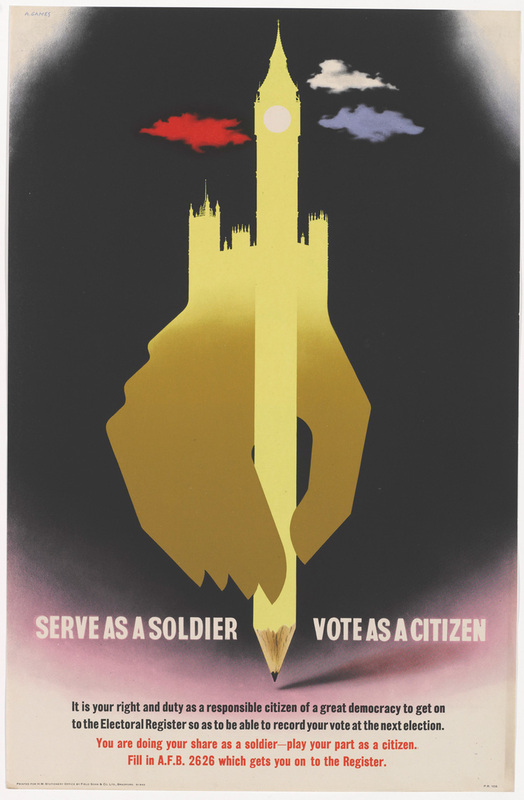 Examples of his use of ambiguous imagery – where one image can appear as two different things – includes his poster Serve as a Soldier, Vote as a Citizen, where an image of a pencil turns into one of the British Houses of Parliament as it seeps up the page, part of a campaign to encourage soldiers to “play their part” and vote in the general election. Another, discouraging gossip and secret-sharing among soldiers, was Your Talk May Kill Your Comrades, which was inspired by surrealism, says Mawdsley, and sees a disembodied soldier’s head in the background, with a spiral indicating a soundwave leaving his mouth, which turns into a sword spearing the hearts of three of his comrades. Scare tactics were also used for health posters, with I’m Looking For You creating a morbid “death mask” face out of the shape of a mosquito, alerting soldiers to protect themselves against malaria. While many of these were sombre, dark and obscure, Games used a brighter colour palette and more light-hearted touch for less serious subject matters. Grow Your Own Food juxtaposes an image of a spade with that of a ship, advising soldiers to grow crops rather than import food. Games’ left-leaning views became particularly apparent in motivational propaganda he created for the ABCA; a series of posters depicted the “future” of the country, with images of modern, advanced health centres and schools set at the front, and backdrops behind these depicting dilapidated scenes of poverty, hunger and war destruction. The Government, run by Conservative prime minister Winston Churchill at the time, ended up banning these posters from the soldiers’ barracks, for the fear that they were too socialist and would encourage soldiers to vote Labour. Other pieces were inspired by a cause close to Games’ heart given his heritage, which was that of encouraging civilians to donate to the Jewish Relief Fund. These were harrowing and impactful, depicting abstract photographs of petrified faces and emaciated figures. Some were the complete opposite, appearing aspirational and inspiring. 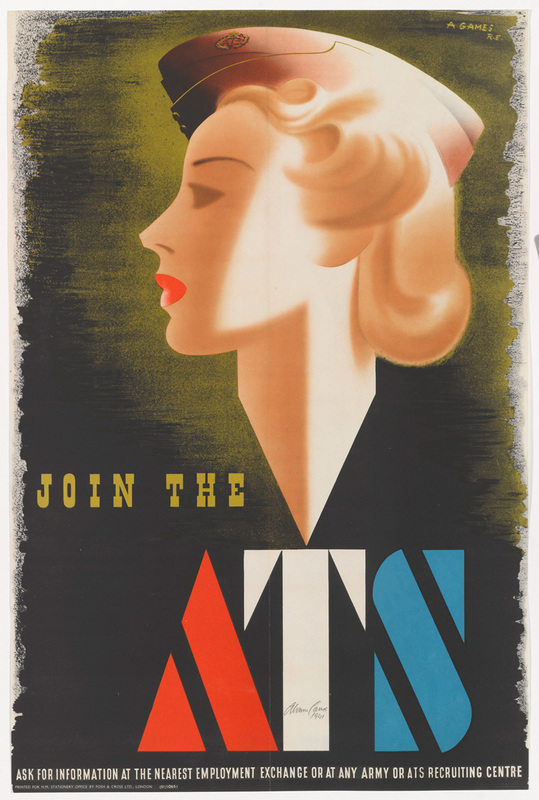 His original poster encouraging women to join the women’s branch of the army, the Auxiliary Territorial Service (ATS), was nicknamed the “blonde bombshell”, and was incredibly appealing to young women. It featured a young, attractive female, with make-up and perfect hair in full army uniform. Again, the poster was later banned by the Government, for its racy and sensual nature. Games developed a consistent, patriotic palette of colours for his posters with the Union Jack’s red, white and blue featuring prominently. Another regular feature is how he positioned figures, whether soldiers or civilians, to always face left – a simple declaration of his socialist views, says his daughter Naomi. 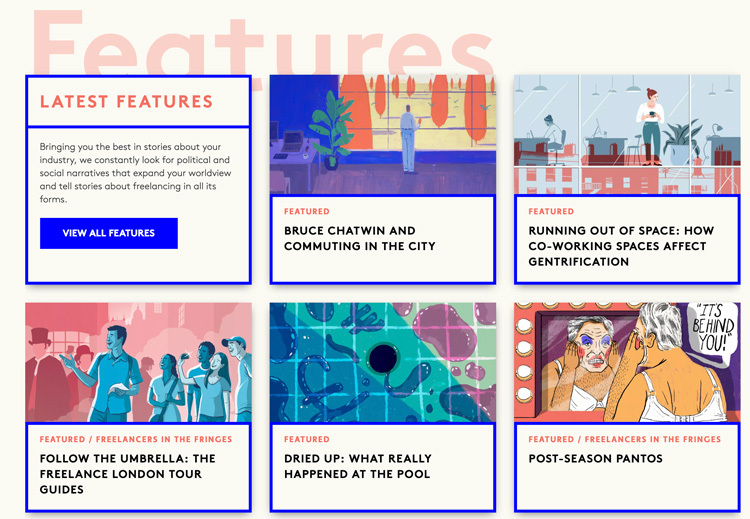 Today, it is difficult to align Games’ staunch socialism and ideals about helping the British public with propaganda that incentivises people to risk their lives, and even making it seem appealing. Many of Games’ posters not only encourage army recruitment, but also convinced already-enlisted soldiers to do more for their country by taking on more dangerous jobs, such as in the Commando Medical Service, parachute units and the air force. In recent years, the British army has fallen under fire for glamorising its forces, and targeting young, susceptible audiences. In 2018, it was criticised for targeting teenagers with a social media advertising campaign around GCSE results day, while a nostalgic poster series launched in January, inspired by the famous Lord Kitchener Wants You recruitment ad from 1914, was also criticised for its clear targeting of millennials. The campaign has been a resounding success for the army and saw applications double in one month. Mawdsley says that the context of war in the 1930s and 1940s means it is impossible to compare the idea of glamorising the army then with campaigns today. 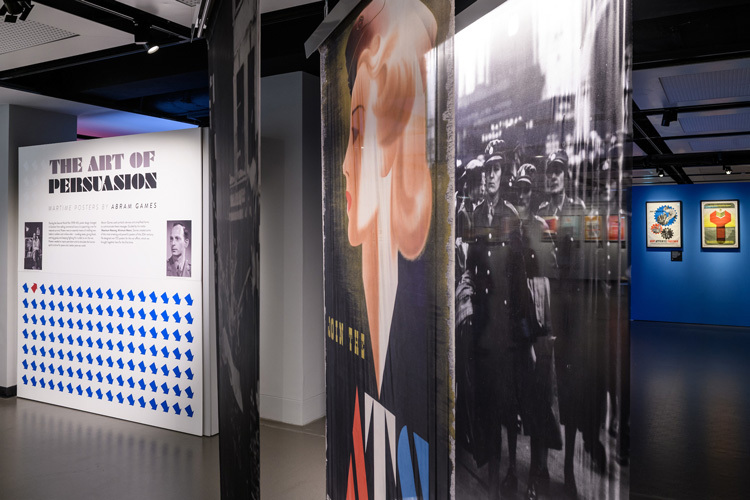 Malcom Clarke, graphic designer at the National Army Museum, who designed the exhibition, adds that Games was not only concerned with recruitment, but with soldiers’ wellbeing, which is why he spent so much time on health and safety campaigns, from the risks of disease in the barracks to how to use a gun properly. The exhibition design features several nods to Games’ work. 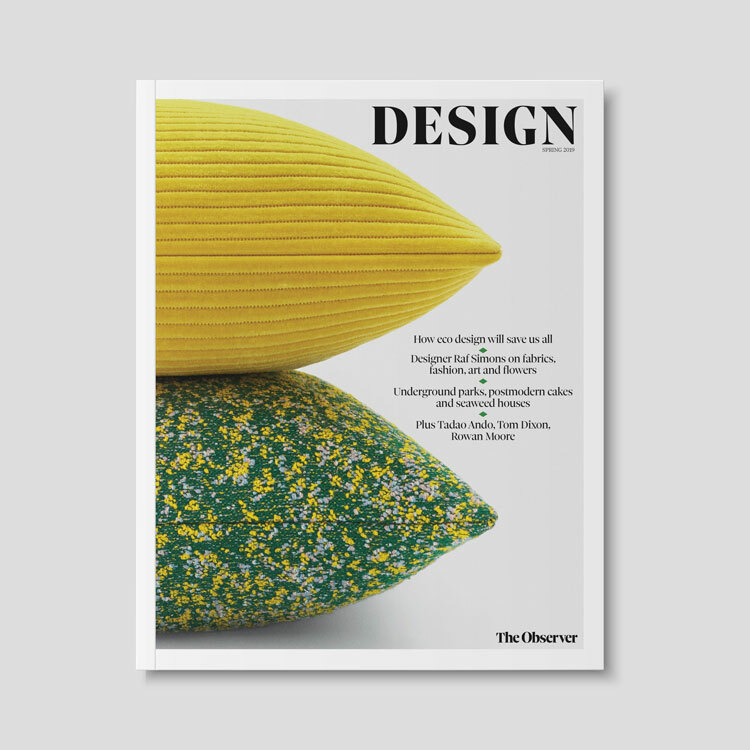 The seven thematic sections are set in colours taken from the palette he used, and within each section, the most important poster has been bordered with this colour to help it stand out. Meanwhile, graphics found in Games’ work have been turned into small icons and used on poster labels, indicating whether a particular poster was intended for soldiers, civilians or both. A geometric, stencil typeface called Braggadocio, reminiscent of the font seen on army uniforms, has been tweaked and used for section headings, and arrow symbols, again taken from Games’ work, have been used across the exhibition. 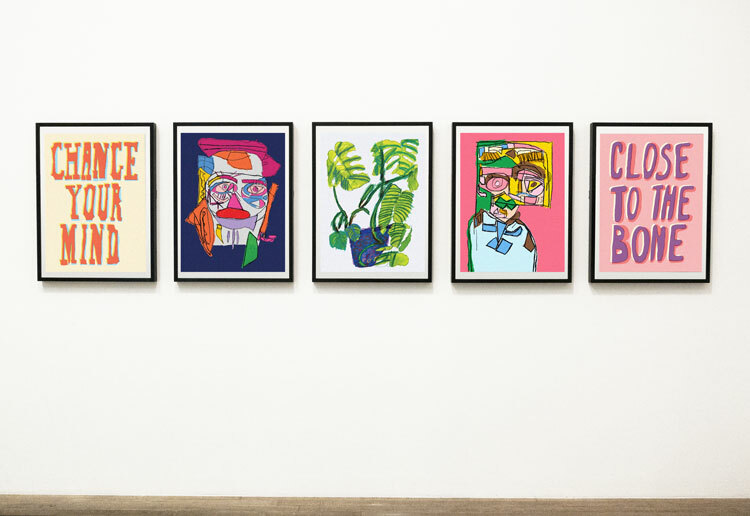 These are repeated dozens of times identically except for one, which faces a different way and is set in another colour, emphasising the idea of persuading an individual to stand out from the crowd. 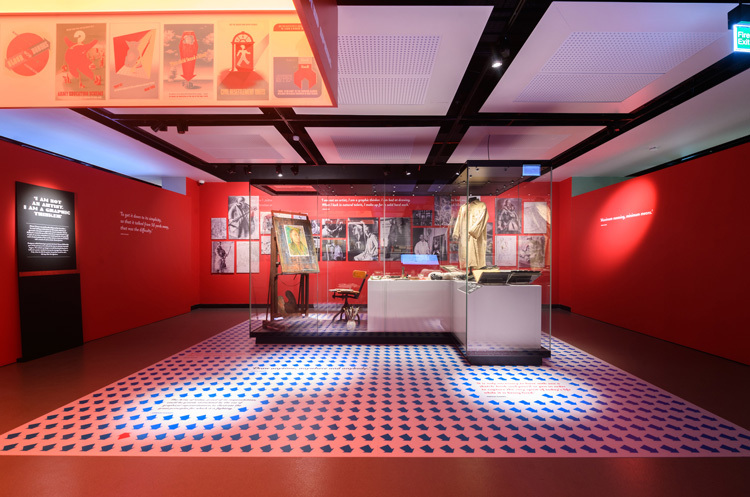 Interactive displays feature at the centre of the exhibition, surrounding a display cabinet holding memorabilia, such as a painting smock and an easel, donated by the Abram Games Estate. 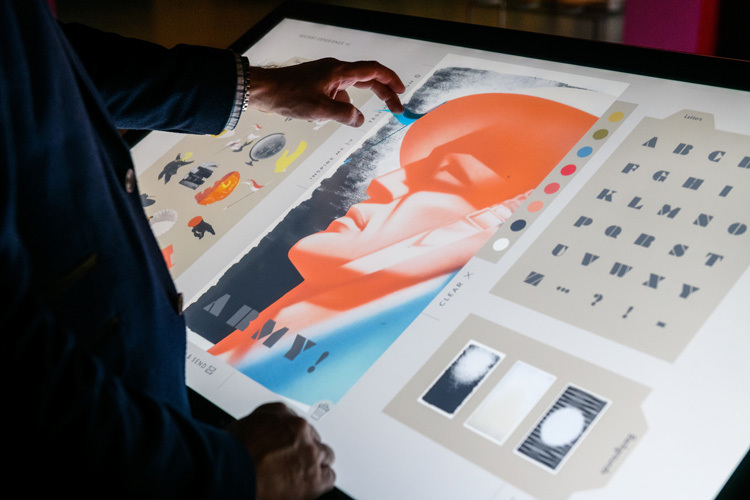 These include a digital drawing board, where visitors can design their own Games-inspired poster, featuring colours and typefaces from his palette, and several of his most famous symbols and images. Another is a display hanging from the ceiling of the space, which projects light that changes colour across reprints of Games’ posters – as the lights change, the combination of colours used on the posters also transform, expressing the idea that interpretation can change depending on the viewer. 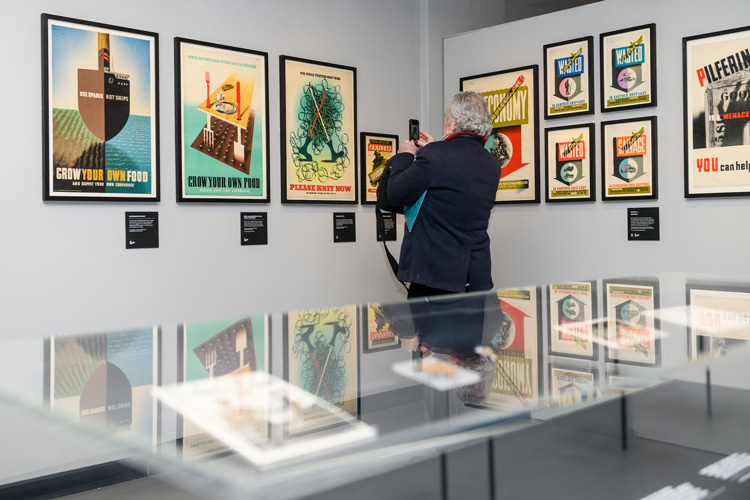 A final installation sees three, semi-transparent pieces of material printed with Games’ posters on them, hung next to each other – they represent the various layers and audiences of Games’ work, says Mawdsley. 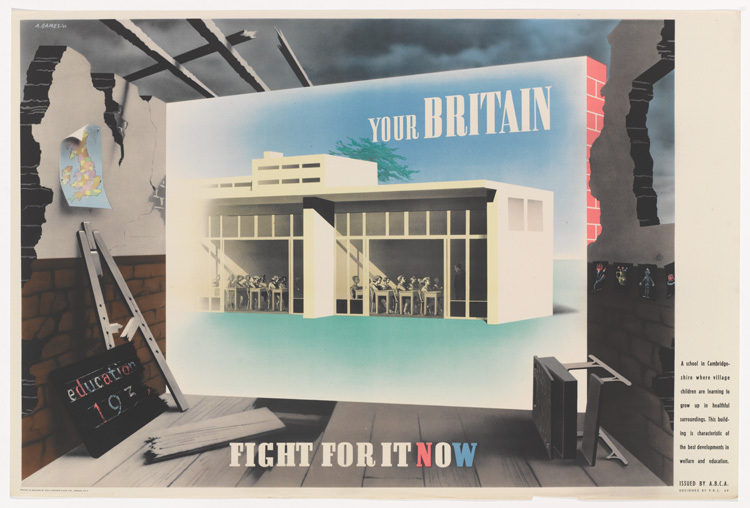 Ultimately, the show looks to not only paint Games as the only ever official war poster artist for the British Government, but as a master visual communicator. Today, the ethics of persuasive army recruitment campaigns are debated, given that they can be seen to unfairly target particular “vulnerable” demographics, or sell the prospect of joining without making potential recruits fully aware of what the job could entail. 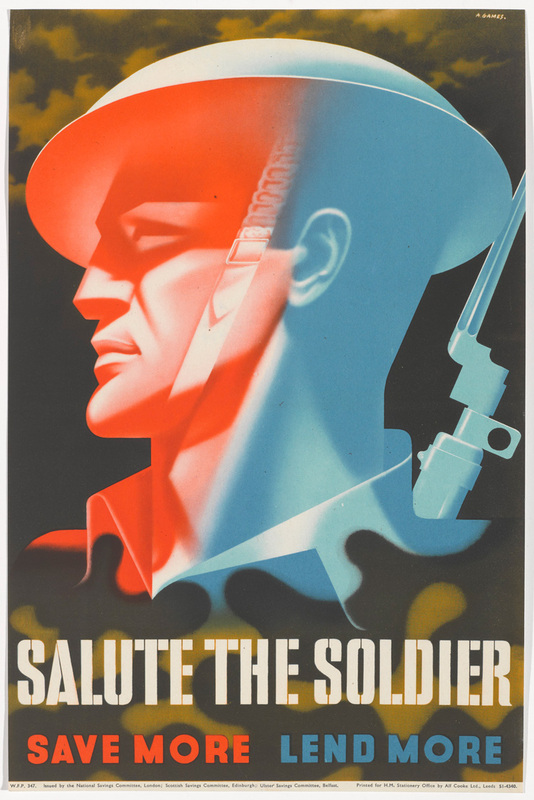 But during national, and worldwide, political crisis in the 1940s, recruitment was a necessity – and through clever double images, patriotic colour palettes and short and sharp messaging, Games helped to enlist more people to help Britain’s war effort in whatever way they could, whether that was through becoming a soldier or donating as a civilian. 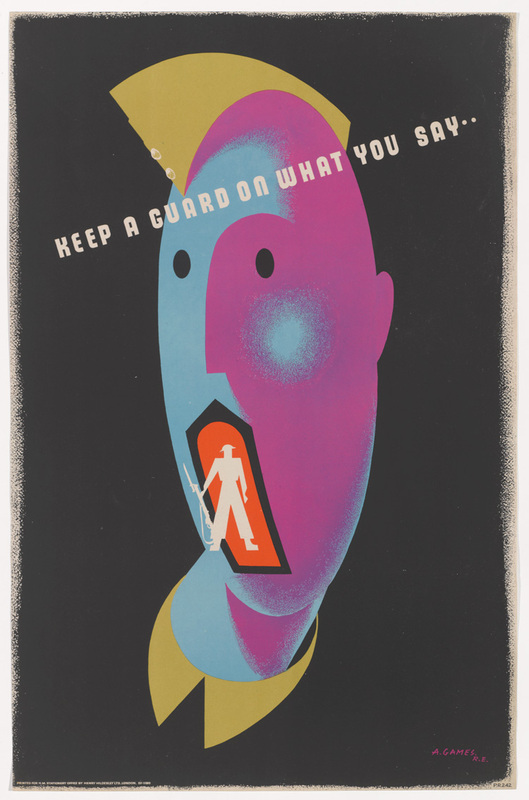 The Art of Persuasion: Wartime Posters by Abram Games runs 6 April – 24 November 2019 at the National Army Museum, Royal Hospital Road, Chelsea, London SW3 4HT. 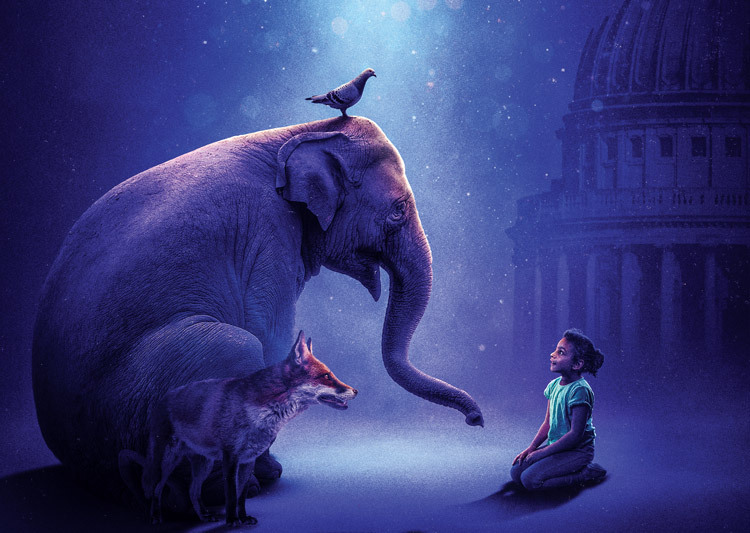 Tickets cost £6, £5 for concessions and £4 for students. Artworks featured in the show are from the museum’s collections and contributed by the Estate of Abram Games. All exhibition images copyright of James McCauley. All individual poster images courtesy of the National Army Museum and the Estate of Abram Games. It was an exhibition on Games that I saw back in 2001 in Birmingham that was a huge influence on me wanting to work within the design industry. 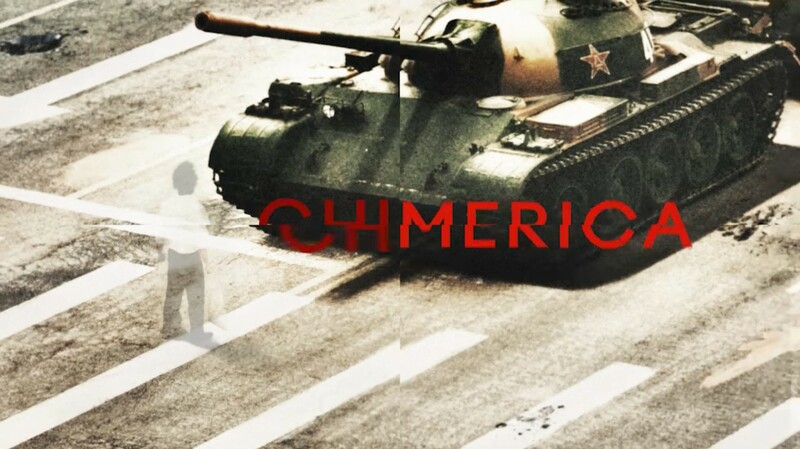 To many people, graphic design is a rather trivial and meaningless profession. 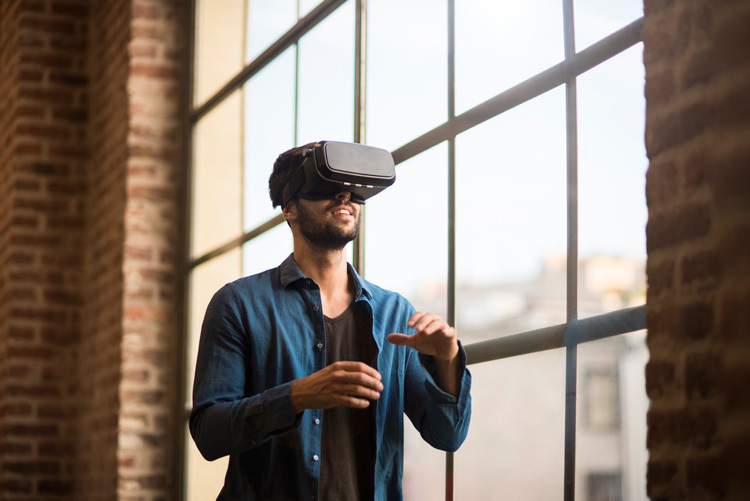 But Abram Games’ work proves just how important and persuasive it can be when taken seriously.